Because different parts of the fennel plant have different culinary uses, the term fennel can seem a bit perplexing. "Fennel" actually refers to different parts of two closely related plants, one used primarily as a vegetable, and one used primarily to yield fennel seeds. Both types are aromatic vegetables with feathery foliage. Florence fennel is cultivated primarily for the bulb, the bottom of the plant, which looks a bit like celery on steroids. The bulb is eaten as a vegetable, raw or braised. 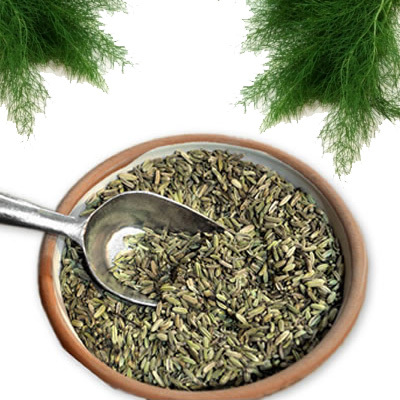 The other variety, common fennel, produces the seeds of the spice we know as fennel. The feathery foliage of both varieties, chopped, may be used as an herb, enhancing soups or salads, and it's especially popular thrown over the coals on a grill to enhance the flavor of grilled fish. All parts of both plants express varying degrees of fennel's characteristic flavor, which has a sweet, warm aroma and very subtle anise undertones. Of course, the seeds have the most intense flavor. Fennel seeds are popular in both sweet and savory dishes. Fennel seeds are a component of Chinese five-spice. The spice is said to cure everything from hiccups and coughs to earaches, toothaches, and asthma. The seeds are also used in the making of sweet and hot Italian sausage.